The Strong's International Center for the History of Electronic Games, the ICHEG. Chances are that you may have never heard of Margaret Strong, but as a collector, I have the utmost respect for her endeavors that led to the creation of The Strong's National Museum of Play. Born at the end of the nineteenth century, she travelled the world and accumulated more than twenty-seven thousand dolls, as well as countless other items of interest – mostly toys. She expanded her home, already thirty rooms in size, by adding two gallery style wings. She had plans to add yet another wing and a lecture room to hold all the “goodies” but passed away in 1969 before ground had been broken. In 1982, her dream became a reality when the Margaret Woodbury Strong Museum opened its doors to the Rochester community. Now, as it is approaching its thirty year anniversary, the museum has expanded to over 282,000 square feet and serves a global audience. 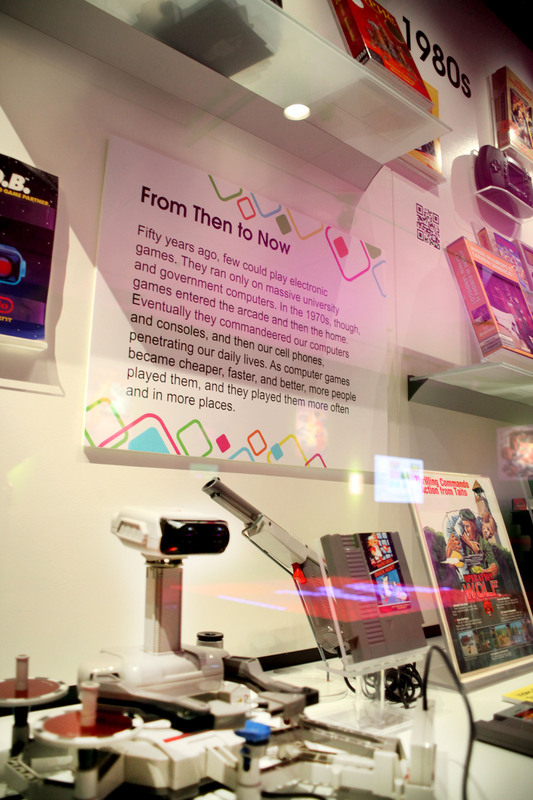 While the dolls are certainly still a centerpiece of the museum, now called The Strong's National Museum of Play, a large percentage of the facility is dedicated to interactive video games! Personally, I first encountered The Strong after relocating to the Western New York area nearly a decade ago. I frequented the museum almost on a yearly basis, and make the 87 mile trek even more as a father. If you have been to any of the countless Children's Museums across the country, you might think that you know what to expect; but if you ever make it to the Strong, you'll quickly realize that you are wrong. 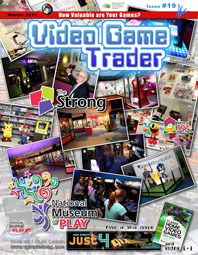 The museum is full of activities such as a mock grocery store operated by children, lands straight out of fairy tale fiction, and an enormous homage to comic books and their heroes and heroines. The structure houses a carousel, the Strong Express train, a 1700-gallon coral reef aquarium, an impressive Dancing Wings Butterfly Garden and more. You can even take a stroll down the set of Sesame Street. In addition to the permanent fixtures, The Strong features a series of very special rotating exhibits that change from time to time. At the moment, The Strong is home to “Football: The Exhibit” but in 2009, The Strong was home to Videotopia, an international traveling video game museum. I have seen Videotopia at other locales, but The Strong gave it the space it needed to really shine. The display was so popular, that The Strong actually purchased the Videotopia's coin-op inventory and now rotates over 120 vintage arcade games from an era long gone and sorely missed. Notable machines include the first coin-op Computer Space dressed in fiberglass, PONG and the vector-based Lunar Lander. Most of the machines are playable and cost less than the original price of admission in the early eighties when arcades were king! Interactive exhibits abound, but when you walk up to the second floor, prepare to be, well… floored! Upon entering The Strong's eGameRevolution, you're first greeted by life-size statues of Sonic the Hedgehog and Link from The Legend of Zelda series. 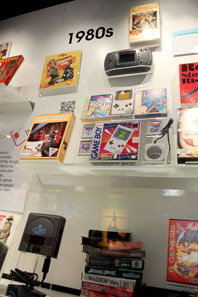 Next visitors encounter a multi-paneled timeline of sorts displaying hundreds of rare items, out of the massive thirty-five thousand plus items that The Strong's International Center for the History of Electronic Games (ICHEG) department has archived. Mingling within the historical segment are many interactive exhibits including a giant Lite-Brite-like Pixel Wall and an LED Lightspace Dance Floor which features a pressure sensing interactive display with effects that integrate with the lighting and music emanating from the sound system. The Nintendo game Pac-man vs. has leapt from the Nintendo GameCube and GameBoy Advance systems into The Strong in a slightly modified form referred to as Pac-Man Battle Royal. Being the first four-player competitive Pac-Man arcade title, players attempt to be the last Pac-Man standing, as each player tries to gobble up the competition. If you ever watched the 1983 cult-classic video game movie Joysticks, then it is certain that you have always wished to play a videogame using a massive joystick such as the ones featured in the film. Well, you can live that fantasy playing Giant Tetris on a massive 47” monitor to match. Sega only manufactured ten such units and The Strong is the only place in North America where you can drop tetrominoes with giant red and green joysticks measuring approximately four feet in size! Emulator stations also grace the floor where you can replay the likes of Gabriel Knight, or even play the adventure game from the golden era King's Quest. Between the games, consoles, documents and other video game related media, The Strong has done a fantastic job illustrating how video games are conceived, developed, sold and used. The Strong's CHEG has even hosted scoring competitions for entry into the Guinness Book of World Records, such as when champion Lonnie McDonald ‘rolled' the classic game of Joust for over six hours! The term ‘rolling' refers to maxing out the highest possible score causing the score counter to begin again at zero. In this particular case, the Joust arcade machine maxed out at 9,999,999 points and repeated, counting upwards again. As if all the electronic entertainment was not reason enough to visit The Strong, it is also home to perhaps the world's largest collections of board games, card games, dice games, role-playing games and other forms of table games. If you played any games by All-Fair, McLoughlin Brothers, Ron Dubren, Milton Bradley or Parker Brothers, you'll likely rediscover them at The Strong. When I say “rediscover” I truly mean it in every sense of the word. Each time I visit, I am flooded with memories of my childhood when I see physical articles important to my past. Toys that I had once cherished with family and friends bring back vivid memories which I am always delighted to revisit. I reminisce about my life, and long-forgotten times surface to my thoughts. I even interact with playthings that I once coveted, when seen advertised on television, but was never fortunate enough to own. While I have been to the Strong as a visitor, I have also walked the floors as an honored guest. As a consultant of sorts, I was asked to accompany my friend and occasional business partner, Ralph Baer, the “Father of the Home Video Game”, when he donated many of his historical documents and prototype video game equipment to the museum. We worked in the upstairs lab testing the original equipment and discussing how such items could benefit the future of the museum. 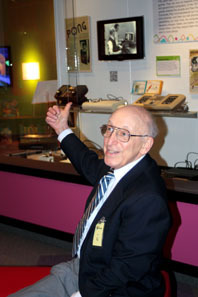 For those not in the know, Ralph Baer invented the first prototype home video game referred to as the Brown Box. This device later became commercially available, with minimal changes, as the Magnavox Odyssey. Ralph also designed numerous toys such as the electronic hand-held games Simon and Mastermind, M.A.S.K. Laser Command, Smarty Bear and others, working for notable companies such as Milton Bradley, Kenner, Ideal and Coleco. Most of these items are already on display in The Strong and Ralph's original notes, sketches, specifications, schematics, correspondence and patent information is on file within The Strong's Brian Sutton-Smith Library and Archives of Play.  Roberta & Ken Williams' collection of memorabilia concerning their company, Sierra On-Line, responsible for Mystery House , the first graphical computer game; as well as their popular King's Quest and Leisure Suit Larry series.  Will Wright's manuscripts detailing the creation of his popular titles: Sim City, The Sims, and Spore.  Don Daglow's papers which cover his work on the first computer baseball game, the first graphical MMORPG and games that he was involved with including Utopia and Neverwinter Nights.  Dan Bunten's documents written by the pioneering game programmer most recognized for creating the multi-player game of M.U.L.E. and the first mo dulator- dem odulator game Modem Wars. The library also has thousands of trade catalogs, strategy guides and of course… books. Researchers and authors from afar are known to frequent the library, as it offers a unique collection not available elsewhere. I was very fortunate, and stunned, to see the archives collected in the basement. Hundreds of thousands of toys carefully stacked in drawers on shelves that stretched as far as my eyes could see. I could easily spend the remainder of my life entertained reading the historical documents held within, let alone playing with all the toys amassed to the ceiling. The items on display to the public are only a minute portion of the entire collection housed below. I even went as far as asking them to lock me in the basement and let me be, but alas, my kind request was denied. If you have seen the ending of the movie “Raiders of the Lost Ark” where the Holy Ark of the Covenant was being filed in the never-ending rows of shelves inside the federal government warehouse, that should give you an idea of the enormity of the collection. 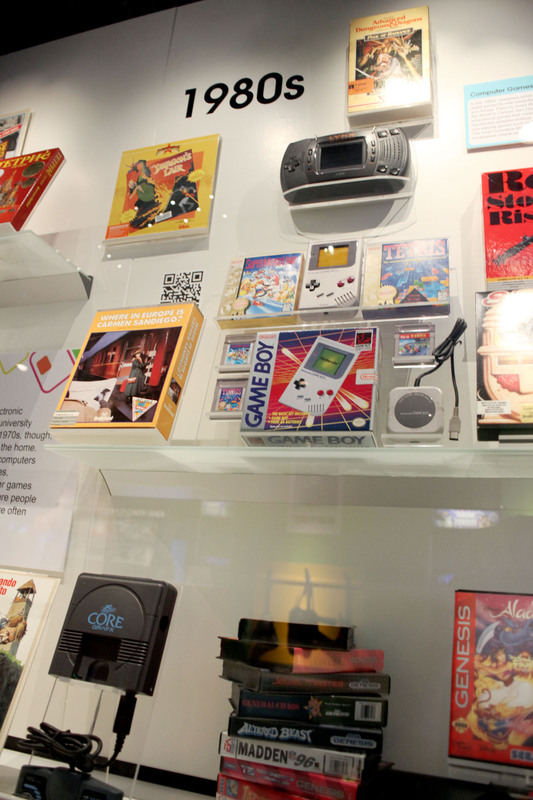 I cannot express the amount of pure joy that is bundled within the walls of The Strong's National Museum of Play. It is not possible to witness all the sights and interact with all the exhibits in a single day. For those of you reading this not located in the immediate area, you might want to plan visiting The Strong as a vacation destination. While it is located in Rochester, it is only a short drive to such sights as Niagara Falls, the Great Lakes, several amusement parks, the Canadian border and other family-friendly fair. 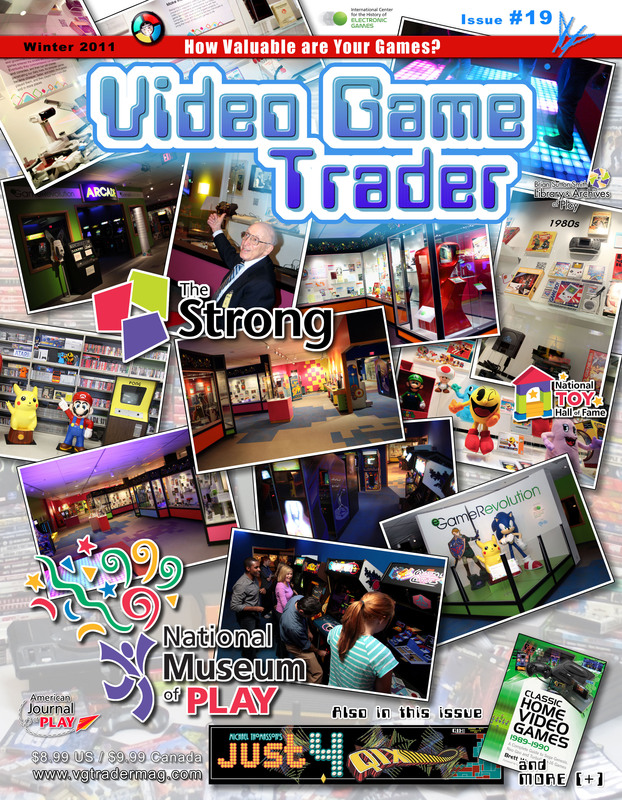 So, if you love video games and miss the days when Lincoln Logs were made of wood, Tinkertoys topped your Christmas list, and the Speak & Spell spoke proper English, then be sure to visit the The Strong's National Museum of Play.